Shaprio’s Curios Store was based in Livingstone. It was run by M Shapiro. Fellows of the Rhodesian Study Circle added. 2019 Annual Conference programme added. Philatelic Friends Auction No.31 added. 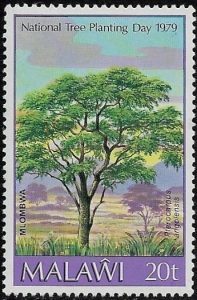 Encyclopedia of Rhodesian and Zimbabwean Postage Stamps Since 1964 – March additions added. The Zambezi Trilogy: Book 1 – The Horns – Jill Baker added. Grand Hotel – new cover added. Haddon & Sly – new cover added to Bulawayo. Thomas Cook & Son added. Victoria Falls Hotel – new cover added to 1964-1990. Mines Office – Form 3 added. Mines Office – Inspection Certificate added. Mines Office – Certificate of Extra Work added. AFRAF – new cover added. Gogoi Mission – new cover added. Monte Carlo Mission – new cover added. Mount Selinda – new cover added. Mrewa Mission – new cover added. Nyadiri Mission – new cover added. Buck, Theresa – new cover added. Meacham, Frank – new cover added. Tontz, Minnie – new cover added. Torrence, Louise – new postcard added. Atelier – Letter Card Series 102 added. Cape Times Ltd – Type I Joan Evans series added. 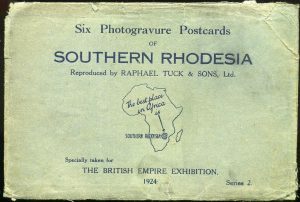 Cape Times Ltd – new cards added to Tour Rhodesia & Nyasaland. Central News Agency – new cards added. Frameworthy – RSPC13 added to Type II. Gevaert – Kitwe Type II added. G.B & Co – new type IA added. G.B & Co – multiple new cards added to type V 1195-1210. G.B & Co – multiple new cards added to type V 1195-1210 Red. Grafton Studio – new cards added. John Hamlin – V10 added. Howard Timmins – No.31 added to Type IA. Karel Kramer (Pvt) Ltd added. McCorquodale & Co – new Bromide series added. McGhie & Co Ltd added. National Museums Board – Type I added. Nyasaland Hotels and Brewery Ltd – Type I added. Payne’s Studio – No.27 & No.110 added. 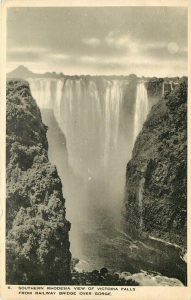 Percy M Clark – new card added to Berlin I Red Victoria Falls. Pictorial Publishing Co. – No.209 added to Type VC. P.P.I. Spicers – No.234 added to Orange Type II. Print-Ad Products Pty Ltd added. Type 0 – new card added. Type 1A – new card added. Type 2H – Nyasaland 1 added. Type 2I – Nyasaland 1 added. Type 3G – new card added. Type 4A – new card added. Type 4B – new card added. Type 5C – new card added. Type 11B – new card added. Rhodesia Railways – new card added to type IV. Rhomark – 05 added to Type IA. Salisbury & District Publicity Association added. SAPSCO – new K.400 series added. Air Zimbabwe – Type I added. Single Sheet Competition – 2019 Winner added. 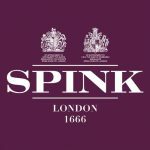 Spink Philatelic Collectors’ Series, April added. Exploring Stamps – S3 E5 – Brazillian Bull’s Eye Stamps released. 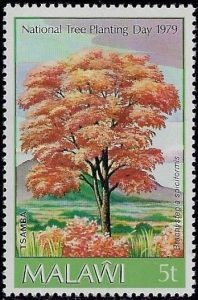 Exploring Stamps – S3 E4 – The Virgin Islands released. The Springbok – downloadable archive added. From Broken Hill to Pernambuco added. RSC Journal – March 2019 added. 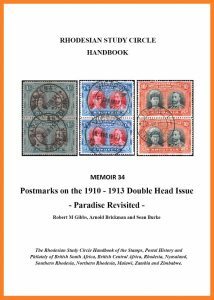 Memoir 34 – Postmarks on the 1910-1913 Double Head Issue – Paradise Revisited – now available for pre-order. Memoirs – page has been refreshed and updated. British Overseas Airways Corporation – multiple new updates & additions. Central African Airways – multiple new updates & additions. Southern Rhodesia Air Services – page updated. 1960 – Central African Trade Fair added. 1933 – Nyasaland Air Week – new covers added to both flights. Fleming, Louise – new cover added. Lawerence, William – new cover added. Art Publishers – 223 added to Type IVA. Atelier (Pvt) Ltd – new cards added to Type I, IA, II. Frameworthy – RSPC28 added to Type II. Grafton Studios – new cards added. Herald Stationery & Book Store added. J W Soper – multiple updates. 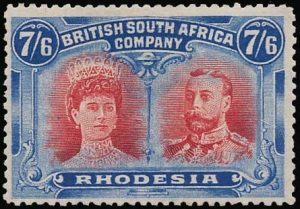 Kingstons Ltd – new cards added to Tour Rhodesia & Nyasaland. Percy M Clark – multiple updates to F.R.G.S. Red Imprint. Peter Hill – No.39 added. Pictorial Publishing Co – 171 added to Type 3AA. P P & I – new card added to Type IIA. R A Bourlay – PS23 added to Type 3B. Rhodesian Printers Ltd – Letter Card Type I added. Sallo Epstein – No.742 added. S.E. & Co – new cards added to Type I.
Tucks – new cards added to SR Publicity Bureau (numbered). 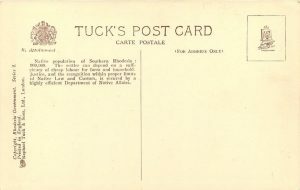 Tucks – new cards added to SR Publicity Bureau. RSC Journal No.272 (Feb 2019) added. Les Congolatres Bulletin No.37 added. 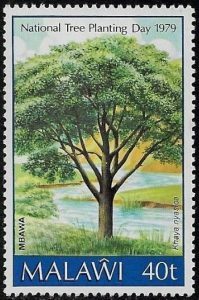 Southern Africa Philatelty – No. 11 Feb 2019 added. A J Butler & Co – updated. Andrew Chalmers (Africa) (Pvt) Ltd added. Barclays Bank – Livingstone & Mufulira Branch cover added. Barclays Bank – Lusaka added. Barclays Bank of Zimbabwe – Bindura and Chinhoyi branch added. Bayer Services Zambia Ltd added. Blackwood Hodge (Rhodesia) Ltd added. Cecil Hotel – new cover added. E Oxley & Co added. Edward L Bateman Ltd added. George Hindley (Pvt) Ltd added. Grand Hotel Bulawayo – new cover added. Grand Hotel Salisbury – new cover added. Halsteds & Co Ltd – page updated and new covers added. Haim Galante – new cover added. Herald Stationery and Book Store added. Higginson and Turnbull Pty Ltd added. Hubert Davies & Co Ltd added. Imperial Tobacco Company – inbound cover from North Borneo added. 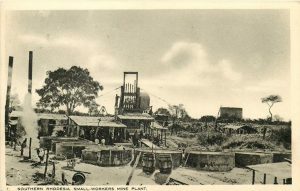 London and Rhodesian Mining & Land Co Ltd added. Manica Trading Co Ltd – new cover added to Salisbury branch. Midlands Hotel – new cover added. Muller & Phips – new Ndola branch added. National Milling Company Ltd added. Packaging and Printing Industries (Pvt) Ltd added. R Chitrin & Co added. 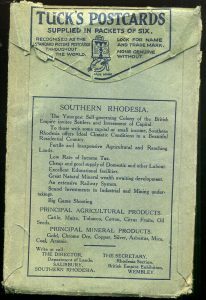 Rhodesian Printers Ltd – cover added. 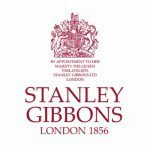 Samuel Osborn (Rhodesia) Ltd added. Shell Company of Rhodesia Ltd – new cover added to Bulawayo. South African Timber Co Ltd added. The Texas Company (S.A.) Ltd added. W J Mount (Pvt) Ltd added. Wightman & Co Ltd – new cover added to Bulawayo branch. Winterton, Holmes & Hill added. Zambia Airways – new cover added. 1963 – 11th World Scout Jamboree added. 1934 – Royal Tour – new cover added. United Nations Development Programme – new cover added to Zambia. University of Rhodesia – new cover added. Form 5 – New certificates added. Gokomere Mission – new cover added. Mount Selinda Industrial Dept added. Mount Selinda Medical Dept added. Mount Selinda Training and Practising School added. Mtshabezi Mission – new cover added. Society for the Propagation of the Gospel in Foreign Parts added. Solusi College – new cover added. Zambesi Union Mission – new cover added. Larks Hack, Mabel E added. Lawrence, William T – new cover added. B D & P added. Chosupa Publishers and Distributors added. Coombe & Delwar – Type IA added. Crumplin & Harrison – New cards added to Harrisons Stationery Stores II. G.W.W. – new series Type 1A added. G.W.W. – John G Bain Type III added. G.W.W. – John G Bain Type IIIA added. Howard Timmins (Pvt) Ltd added. Jack Hall & Co added. Lennon Ltd – No.11 & 14 added to No. 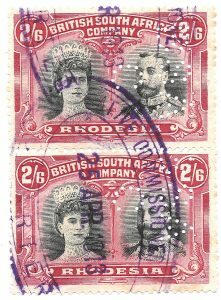 Series Type I.
Robert MacLehose & Co. – Rhodes-Livingstone Museum added. Mardon Printers (Pvt) Ltd added. SAPRA – RM series added. Sarum Imprint (Pvt) Ltd added. S E & Co Ltd added. Smart & Cropley – new cards added to Christmas Greetings. Wesleyan Methodist Church – Type I added. Salisbury PO Boxes (1-99) added. Salisbury PO Boxes (100-199) added. Salisbury PO Boxes (200-299) added. Salisbury PO Boxes (300-399) added. Salisbury Private Bags – Route E added. Salisbury Private Bags – Post Restante added. 1977 – Fish of Lake Malawi added. 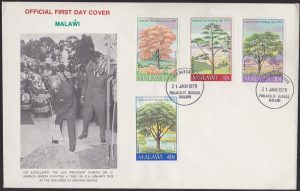 1978 – Malawi Christmas added. 1979 – International Anti-Apartheid Year added. 1979 – International Year of the Child added. 1979 – Commonwealth Summit Conference added. 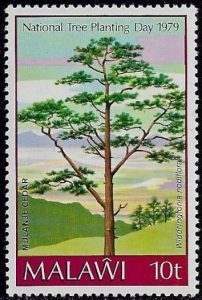 1979 – 3rd Definitive Series Overprints added. 1978 – Prevent Poaching – Protect Wildlife added. 1977 – Christmas 1977 added. 1977 – Birds of Zambia added. 1975 – 3rd Definitive Series – new maxim card added. 1968 – New Currency Definitive Series – new maxim card added. 1979 – Wild Orchids Definitive added. 1979 – Sir Rowland Hill 1795-1879 added. 1979 – Salima-Lilongwe Railway Line added. 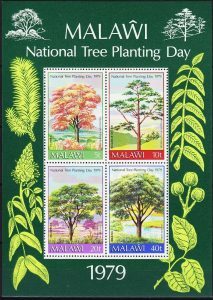 1979 – National Tree Planting Day added. 1978 – Wild Life added. 1978 – Easter 1978 added. 1976 – Christmas 1976 added. 1976 – Blantyre Mission Centenary 1876-1976 added. 1976 – 10th Anniversary of the Republic added. 1976 – Centenary of First Telephone Transmission added. Type II has no full stop after Bulawayo in The Civil Commissioner, Bulawayo line. It bears the cachet Administrator’s Office/Bulawayo. Reduction of Postage Rates to and from North-Eastern Rhodesia. 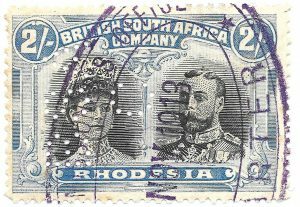 It is hereby notified for public information that on and after May 1, 1900, the Letter rate of postage between Southern Rhodesia and North-Eastern Rhodesia and vice versa will be reduced to Twopence per half ounce or fraction thereof. From the same date the rate of Letter postage from North-Eastern Rhodesia to the United Kingdom and places overseas will be reduced to Fourpence per half ounce or fraction thereof. 2 Southern Rhodesia. 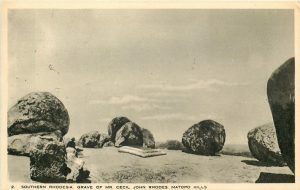 Grave of Mr. Cecil John Rhodes. Matopo Hills. 3 Southern Rhodesia. 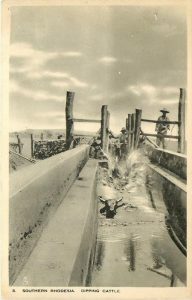 Dipping Cattle. 4 Southern Rhodesia. 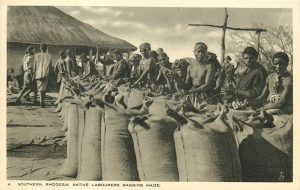 Native Labourers Bagging Maize. 5 Southern Rhodesia. 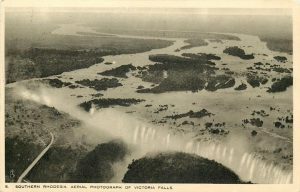 Aerial photograph of Victoria Falls. 6 Southern Rhodesia. View of Victoria Falls from railway bridge over Gorge.